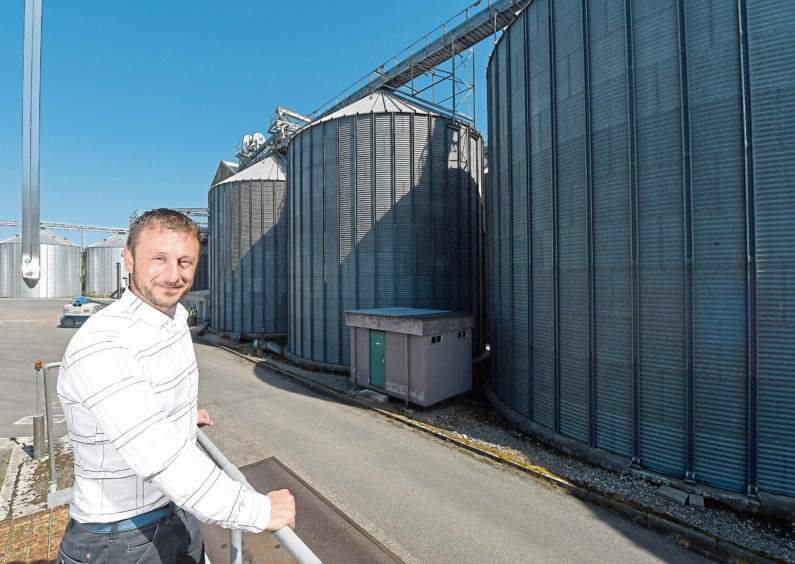 Highland Grain has evolved from a farmer-owned grain facility with capacity for 4,000 tonnes of barley to one bursting at the seams with storage for 40,000 tonnes. The farmers’ co-operative, based at Glackmore near Inverness, is preparing for its 40th harvest later this year. Chief executive Simon Barry, who has been working at the Glackmore site since 1979, is set to retire next year and his replacement Gary Catto is already in place to learn the ropes. Mr Barry takes great pride in the fact Highland Grain has 40% of the market for malting barley in the north of Scotland and it is a preferred supplier for a number of major maltsters and drinks companies. These include Diageo, Boort Malt at Buckie, and Simpsons Malt in Berwick. “We are in an excellent area for the production of good quality malting barley and our members are incredibly professional and proficient producers, using the climate and the soil types to best effect,” he said. Explaining the history of the co-op, Mr Barry said Highland Grain was an amalgamation of two farmers’ co-ops – The Black Isle Grain Group, which was established in 1977 and based at Glackmore, and Easter Ross Grain which was formed in 1988. Chairman Donald Ross with plant assistant Joe Wojtunik. The two joined forces in the early 1990s and Highland Grain Limited was born. 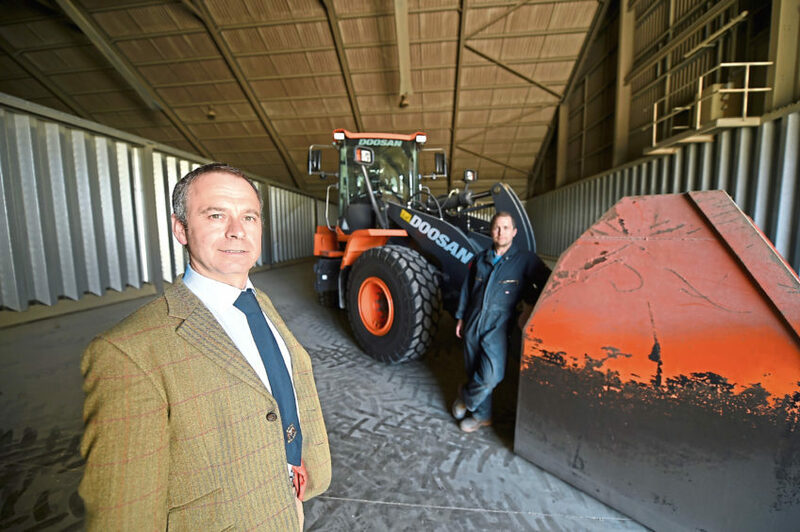 It now has 92 farmer owners from Brora in the north to Kinloss in the east, and increased yields in recent years mean the co-op has plans to increase storage capacity by 6,000 tonnes with the installation of three new silos next year. Mr Barry said 55% of the barley handled at the facility was Concerto, with the remainder Laureate. In addition a small amount of Sassy has been handled in recent years as part of trials. He said Highland Grain operated a pooled pricing model whereby ever member got the same base price for their grain, after which the usual price adjustments are applied for things such as moisture and screenings. “We are aiming for a number of things,” added Mr Barry. The other criteria for barley was a Nitrogen level below 1.65% and a moisture content of no more than 22%. In recent years, the co-op has invested in renewable energy projects to reduce its drying costs. These include a heat recovery unit for air going into the driers, and two of the co-op’s five boilers being biomass. The biomass systems, which were installed in 2012 and 2016, are fuelled with grain dust and screenings. 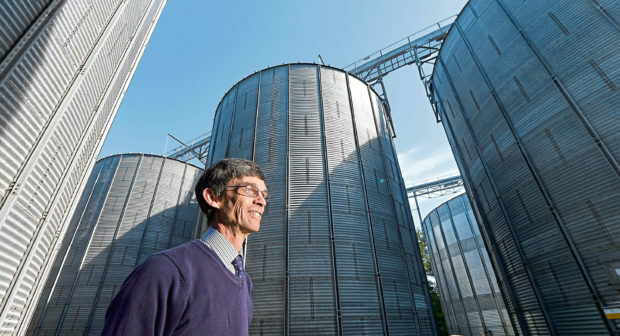 Mr Barry said: “We are, to my knowledge, the only large-scale operation which uses barley screenings to provide a source of drying fuel, making up around 40% of our drying energy requirements. When asked about what he attributes the success of Highland Grain to, Mr Barry answered: “the main co-operative principles of fairness, honesty and transparency”. Incoming chief executive Gary Catto, who has been taken on as general manager until Mr Barry retires, praised the enthusiasm of the staff and said one of his first tasks in the role would be the development of a new strategy for the co-op over the next few years. Meanwhile, co-op chairman Donald Ross, who farms at Rhynie, near Tain in Easter Ross, said the success of Highland Grain was down to its co-operative model and its team of 10 dedicated staff. He said: “Over the last 39 years, Simon has been the consistent driving force pushing the business forward with dynamism and a commercial nose, whilst maintaining core co-operative values of democracy, equality, integrity and transparency.